Let food be thy medicine! Here at The Naturopathic Kitchen we embrace the healing power of nature by focusing on the healing power of our favorite culinary herbs and food. Today we look into milk thistle and what it can offer our health! Milk thistle is another one of those herbs that is well known for its potent health benefits, but you typically don’t find it in the modern kitchen. You’ve most likely heard of milk thistle by seeing it in the tea section of your grocery store. 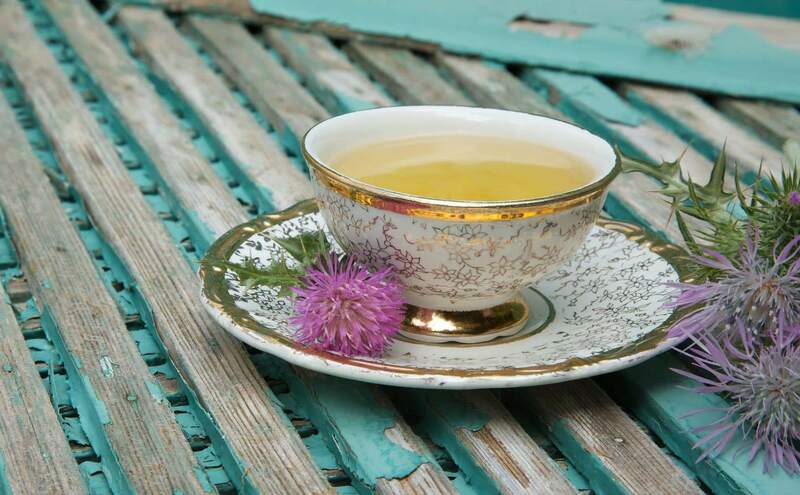 While the tea is a great way to get the beneficial effects of milk thistle, every part of the plant is edible and can be used in many different ways for culinary and medicinal uses. Where does milk thistle come from? Where can I find it? The first reported use of milk thistle was over 2000 years ago in ancient Greece for the treatment of liver dysfunction and serpent bites. Originating from the mountainous regions of the Mediterranean, milk thistle belongs to the same family of plants as daisies and artichokes. Over time milk thistle’s versatility has become recognized—British herbalists used milk thistle for liver obstructions and spleen and kidney disease. Native Americans used it to treat boils and other skin diseases. Today, you’ll most likely find milk thistle in the supplement section of your grocery store. In herbal stores or online you’ll easily find milk thistle seeds rather than other parts of the plant because the seeds contain the highest amount of silymarin, the biologically active constituent. Milk thistle is easy to grow in a kitchen herb garden and is the best way to appreciate all that milk thistle has to offer. 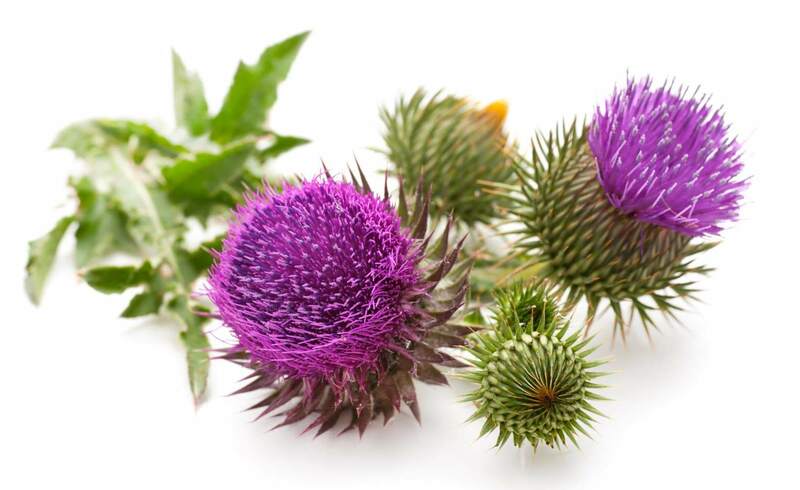 Because milk thistle is nourishing to the skin, it is often found in skincare products. How does milk thistle help my health? What medical conditions/symptoms is milk thistle used for? When should milk thistle be avoided? Since milk thistle is related to ragweed, those with severe ragweed allergy should avoid taking milk thistle. Milk thistle can cause mild side effects such as stomach upset, nausea, and diarrhea. While milk thistle has been used during pregnancy and breastfeeding, its safety during these periods is unknown so it’s best to avoid during pregnancy and breastfeeding. Fill tea bag with powdered milk thistle. Boil water and reduce heat to a simmer. Pour hot water over the tea bag and allow to steep for 3-5 minutes. Remove tea bag and add honey for extra flavor if desired. Thank you to My Organic Life for this recipe!